G2 Laige has been crowned the 2018 Forza Racing World Champion after a weekend of turbulent racing, strict adjudication and intense on-track action. 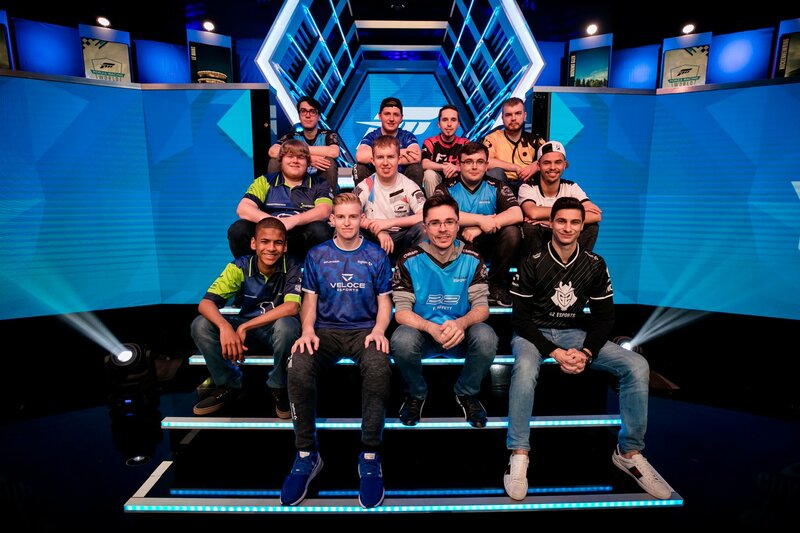 It all happened in London, UK, where 24 of the best drivers on Forza Motorsport 7 competed for fame and glory at the Gfinity Esports Arena. Not only was this the first time a ForzaRC event would be open to public attendance, but it also offered the largest prize pool in the history of Microsoft’s premier racing esports series. That total was $100,000, and everyone who managed to successfully make it to the English capital would be taking home a slice of it. The Gfinity Arena is operated in collaboration with cinema operator Vue, located in the Fulham Broadway shopping centre –nearby the Chelsea F.C. at Stamford Bridge. 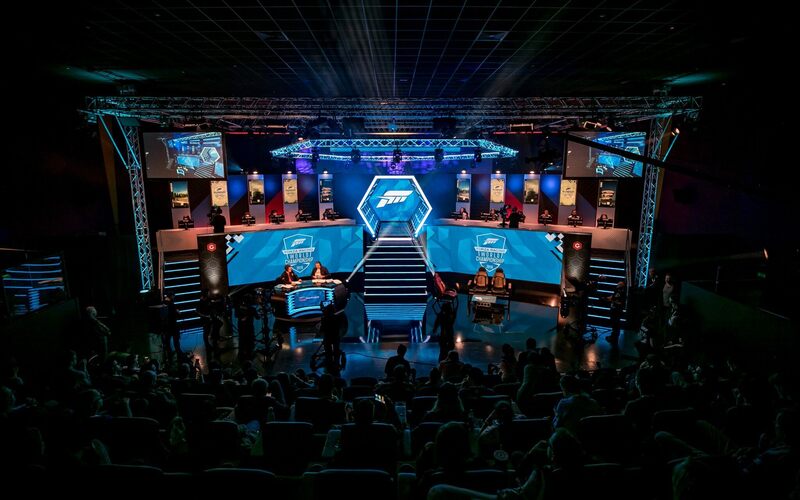 The cinema it occupies was plastered in Forza Racing Championship branding to promote the upcoming esports spectacle, highlighting each of the 24 drivers who would be competing over the weekend. 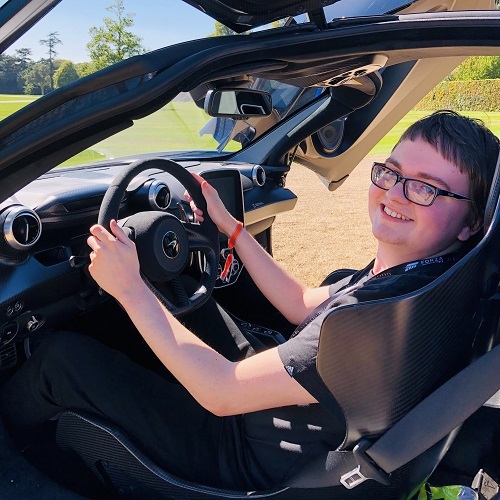 There’s not been anything quite like it before in the history of ForzaRC, and Microsoft sold tickets for the event priced at £15 – a reasonable fare considering you would be able to attend the championship event on both days. 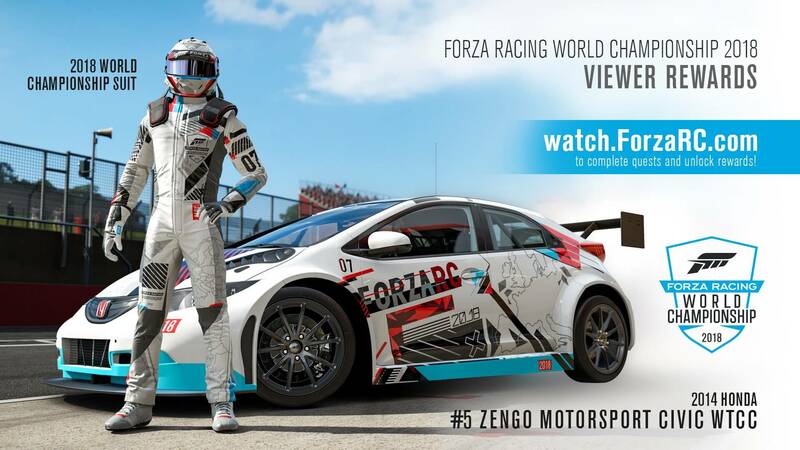 Meanwhile, those who tuned in online had the chance to unlock some exclusive in-game rewards for Forza Motorsport 7, including the liveries of the ‘Driving the Design’ video series, as well as a ForzaRC World Championship Driver Gear outfit. It all began at 6pm BST on Saturday, October 20th. The 24 drivers were divided into two groups of 12 to compete in the semi-finals. They would all have the one common goal – to make it to the top 6 within their group to advance onto the world finals. Whilst at this stage, they were all guaranteed at least $500, all the time, effort and practise that each of the drivers had put in to the extensive 2018 season meant they’d be aiming for that championship-winning prize of $20,000. It would be a successful day for some, but for others, they’d leave in disappointment – with one driver even feeling robbed of his position at the finals. The semi-finals would see both groups of 12 drivers tackle three unique, individual races. The first would be a NASCAR showdown at Watkins Glen, followed by a JDM shootout in the Nissan GTR on the German circuit Hockenheimring before heading to France in the Sauber Mercedes C9 for 10 laps at the Le Mans Bugatti Circuit. All races throughout the semi-finals would be casted by two legends well known to the Forza Motorsport community – Alie Tacq of YMTVRacing and motorsports broadcast legend and the ‘Voice of Le Mans’ himself, John Hindhaugh. It’s also worth mentioning the studio’s lighting effects, which were dominantly blue to represent the ForzaRC. However, they would turn orange throughout adjudication to add to the level of tension in the room, almost like a Millionaire-styled effect. It was bloody well done to say the least, and it certainly did the trick. The first race for both groups would be a relatively quiet one as drivers became accustomed to their surroundings and the cheers of the audience sat ahead of them. Group 1, which featured drivers like Robin “b0x” Betka of Noble Esports, Tobin “Racerz” Leigh of Veloce Esports, Taylor “Lightning” Stomski of Virtual Drivers by TX3, Gary ‘Mitch’ Mitchell of Williams Esports, and Ross “Rossi” May of Japspeed Racing – to name only a few, delivered what appeared to be a quiet start to the ForzaRC finals, but it still gave the race adjudication team a total of 80 incidents to review. One of those would include Shaun ‘Commando’ Arnold’s controller issue, which prevented him from effectively competing in the race and thus bowing out of the competition. The marshals did hand him a five-second penalty for knocking Brazilian driver Arthur ‘Handicap’ Peronico onto the grass. It wouldn’t be a good start for the Welshman, and the bad luck persisted throughout the two races that would follow. However, Noble’s b0x was dominating and achieved first-place finishes in all three of the events. The second of these on Hockenheimring in the Nissan GTR would prove to be one of the most exciting throughout the day, as an epic side-by side battle between the Americans Daniel “ForceOne” Nyman and TX3’s Lightning delivered the brilliant, immense racing we love to see in the Forza Racing Championship. Similarly, Veloce’s British driver Racerz would overtake Alexandre “Asix” Arnou of Vitality, as well as TX3’s Wesley Dias Augusto and John “Bilysoo” Jung in yet another brilliant battle, however Asix would be hit off the track by Wesley – resulting in the Frenchman’s race being ultimately ruined. It would continue to be a good race for Racerz, who successfully managed to overtake the Scotsman Rossi and head into 5th, whilst Handicap and Asix would shoot ahead of Billysoo after an off-track error put him down into tenth. The race ultimately provided to be staggeringly brilliant in every way, but it led to Billysoo receiving a 5-second penalty. Following the third race, it was also revealed that Racerz would receive a 5-second penalty for the second race – dropping his finishing position down to 10th. At the Le Mans Bugatti Circuit, it would be b0x, Mitch, Lightning and ForceOne leading the way from the line yet again, however it wouldn’t be so successful for Veloce’s American driver initially, who also suffered a controller disconnection issue. Ultimately, he finished the race in 6th following adjudication, but the same luck wouldn’t apply for his teammate. Whilst Racerz managed to finish fourth after some clean battles with Rossi, Handicap, and Wesley, he was given a 10-second penalty by adjudication in a move which saw his tires go off the line for just a split-second when overtaking Handicap. The 18-year-old British driver, who we spoke to ahead of the competition, was gutted at the result – and believes adjudication were very harsh towards him, saying on Twitter that the finals were “stolen out of my hands.” Despite Racerz's efforts on social media and his overall excellent race-craft, the marshal team didn’t make any adjustments to the penalties he received – and his overall ninth place finish in his group meant he wouldn’t be competing in the Sunday finals. He wouldn’t be the only one to penalized, however. Mitch, Wesley, and Bilysoo each also received 5-second penalties following the third race on Le Mans. It begun with a lunge from Mitch on Dunlop Chicane, which saw Lightning overtake him with ForceOne not far behind. Once the fifth lap came around, however, Mitch was back in his comfortable third-place position behind b0x and Lightning. Luckily for Mitch, his penalty didn’t impact his final position – he’s just that fast! Noble b0x and Williams Mitch were the top two performants on the track in their semi-finals group, followed by TX3 Lightning, JSR Rossi, Veloce ForceOne, and TX3 Wesley – but to nobody’s surprise, it would be the 2018 ForzaRC Series 2 Playoffs Champion Aurélien “Laige” Mallet of G2 Esports leading the way in the Group 2 races. He would also unsurprisingly lead the pack by quite some margin across all three of his races, and things certainly looked good for the G2 driver ahead of the prestigious finals. Outside of the Frenchman, some of the other names in this one included Phelipe “ZooM” Reis of Sauber Esports, Zach “Venom” Taylor of F4H Motorsport, and Tommy “Vanquish” Powell of Team Highlands Racing. TPR’s own Matt “Zermatt” Kennedy and Alex “Chemical” Harrison would also be racing, as well as Noah “Virus” Schmitz of Veloce Esports and Michael “RoadRunner” Coyne of Williams Esports. The first race saw plenty of action mid-pack as Vanquish pushed into Zermatt as they battled side-by-side for 5th – before Virus gets involved and passes Vanquish before eyeing Zermatt, who defended well and drove brilliantly. The German driver would eventually overtake Zermatt and he led the way in this mid-pack battle. One incident leading into the second-to-last lap saw Williams Seven hit into a wall – a collision that Chemical managed to just avoid. Seven would be ultimately in last place leading into the seventh lap and would need to pit for this one since simulation damage was enabled. The final race of the London semi-finals would see Laige, ZooM and Venom leading the way on the Le Mans Bugatti Circuit, but it wasn’t one without its fair-share of incidents. Chemical finished last after an under-brake error caused him to fall into 11th on the Dunlop Chicane. He was also handed out a 10-second penalty from the adjudication office, whilst Williams RR would drop to eight after a 5-second penalty, though he’d still advance to the following day’s racing alongside G2 Laige, Sauber ZooM, F4H Venom, Veloce Virus and Williams Seven. After almost six hours of gruelling, intense racing on Forza Motorsport 7 – the final 12 had been decided upon, and the grid was set for day two of the Forza Racing World Championship finals, when the action would begin to really heat up. Four Races. 12 Drivers. Rule, Britannia! It promised to be the biggest and most spectacular event in the history of the Forza Racing Championship, and that certainly provided to be the case. The ForzaRC World Finals in London, UK saw our 12 finalists battle it out across four intense, but brilliant races. Silverstone, Nürburgring, Suzuka, and Indianapolis. It would be a familiar line-up of circuits for the drivers, but each of them offers their own subtle nuances that make them not only a tricky challenge, but oftentimes pure chaos – especially in the case of the Nürburgring. The first race would see drivers in the Aston Martin GT12 on Silverstone for 7 laps. To nobody’s surprise, the British circuit saw Laige, ZooM and b0x take the initial lead as Mitch and ZooM fought with the German ForzaRC Series 1 Champion in a 3-wide battle before Venom joined the action. It was a close, compact battle as Laige shot ahead from the pack. Meanwhile, Rossi slipped past ForceOne in a simply wonderful overtake, before RoadRunner and Seven got involved in this huge battle featuring several drivers. As the fifth lap approached, the race had a familiar top four with Laige, b0x, ZooM and Mitch, whilst the back of the pack saw Virus, Seven, Wesley, Rossi and ForceOne – all hoping to climb as many positions as possible. Contact between Lightning and RoadRunner would see them fall to the bottom. Overall, this was a quiet race upfront with some contact at the back of the pack. It wasn’t a massively exciting one overall, which is a usual feat for the first race of a ForzaRC event. Following what can only be described as one of the longest adjudication periods of the competition yet, ZooM, Rossi, RoadRunner and Lightning all received 5-second penalties, whilst a 10-second penalty was handed out to ForceOne – dropping the Veloce driver right to the bottom of the leaderboard. The second race of the day saw drivers in the Porsche Cayman GT4 on the Nürburgring GP circuit. It’s quite a crazy beginning as ZooM hits into the grass after nearly facing contact with Mitch, but once again, the recent British forerunner led the way with b0x and Laige pushing ahead. As usual, the Frenchman would get away from the pack as soon as possible. At the back of the grid, ForceOne climbed from 12th to 9th, a decent push following his penalty from the opening race on Silverstone. It’s wasn’t good news for Lightning though. The American driver and 2017 ForzaRC New York Champion suffered from terminal damage as his Cayman GT4 was stuck in the grass and facing right towards a wall. The first few laps weren’t too chaotic, but things slowly began to change. Lap 3 saw Rossi brilliantly defending his position from an attack by Wesley as the battle between b0x and Mitch, the ForzaRC runners-up, began to heat up as Laige pulled away. It was certainly a fierce one to say the least, as b0x and Mitch performed multiple overtakes on each other after a few small errors from both drivers. Mitch nudged into b0x’s rear end, which gave the German driver the opportunity to cruise off as the Brit chased him down. A small gap between them had begun to evolve, however, and b0x undoubtedly did a good job of holding his position – but it was some immense viewing to say the least. 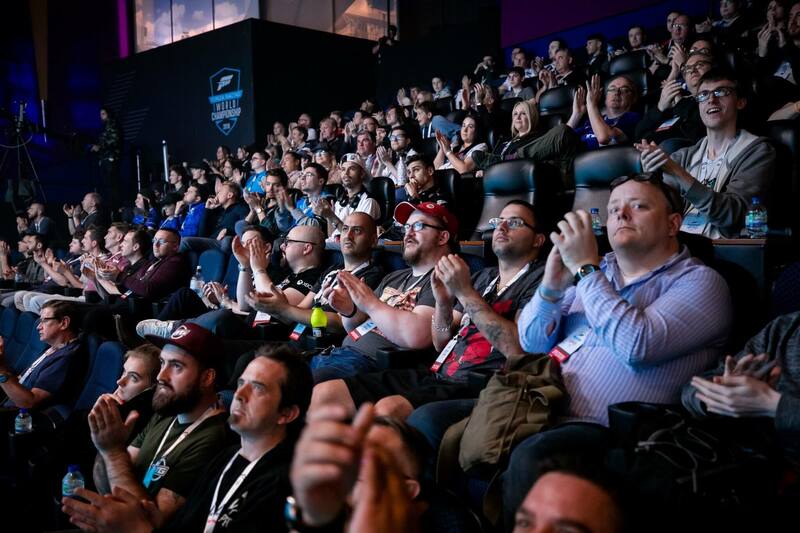 The audience inside the Gfinity Arena would cheer during each overtake, with louder cheers in support for Mitch – the forerunner of his home country in the UK. That doesn’t mean there wasn’t any applause or support for b0x, however – the German driver most certainly had his supporters in the audience and you could hear them! Overall, there was a lot of suspense within the crowd, more so for this race than any other one throughout the finals. Lap 7 proves to be chaotic, but incredible as Venom overtook ZooM before a huge battle developed between them and French driver Seven. It started on the chicane leading into the final lap in a 3-wide battle as Seven took the inside of Venom. The Brazilian driver did have a wide angle, however which caused Seven to hit him off – he couldn’t back off, ZooM had to move over and leave him room, but he didn’t. Ultimately, Seven had no alternative option – he had to move ZooM out of the way. You could even see him attempt to straighten up, but he simply couldn’t. This was the best he could do, and he could’ve very easily have accidently taken out Venom as well. Kudos to him for ensuring the situation wasn’t anything worse. On the final lap, Mitch also had one last opportunity to overtake b0x, but he didn’t maximise this to his full potential as Laige, b0x and Mitch cross the line in first, second and third, respectively. Overall, that was the chaos and intense racing that Nürburgring is noted to deliver in the Forza Racing Championship, and it certainly lived up to its name. That is what you call a race, ladies and gentlemen, and the adjudication for it wasn’t particularly long either with only Rossi, the Scotsman receiving a 5-second penalty, which dropped him down into eleventh. The penultimate race of the 2018 ForzaRC season saw drivers heading to Suzuka in the 2014 Honda #5 Zengo Motorsport Civic WTCC for 7 laps. This Japanese circuit is undeniably a punishing one to master, as one wheel on the grass can spin you out. However, there are plenty of good overtaking opportunities here, and it’s the perfect car for Mitch’s driving style. He loves Touring Cars, and this would lead to some interesting racing out on the track. It begun with the usual drivers leading the way – Laige, b0x and Mitch as Lightning, Rossi and Wesley occupied the back of the pack. Meanwhile, the Veloce drivers ForceOne and Virus were battling with each other for 6th. 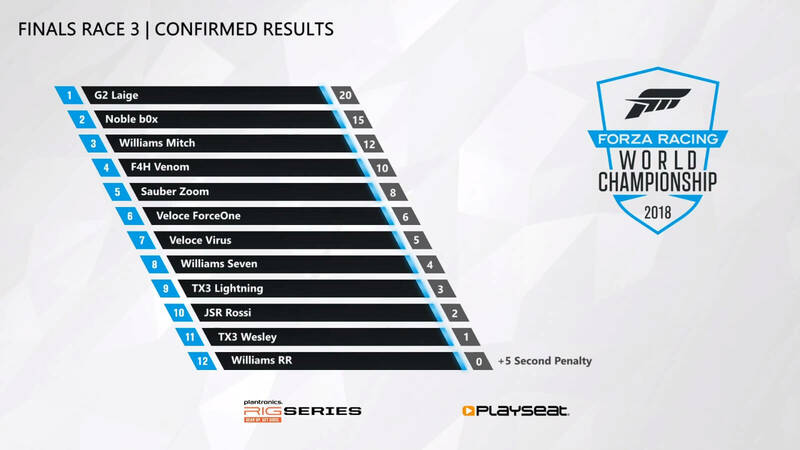 It’s worth noting at this stage that Williams were the only team to have three drivers in the finale of the ForzaRC – Mitch, who was currently achieving third place finishes across the board, as well as Seven and RoadRunner, who were occupying the 8th and 9th spots respectively throughout the fourth lap of this race. As for Laige, this has been a hot-lap event for him, literally – building up quite some distance from his fellow podium racers. Venom, ZooM and ForceOne with the rest of the pack, meanwhile, weren’t too far behind Mitch who was tailing b0x and his dominant yellow Noble Esports livery. Once again, this race finished with the same three winners, who managed to successfully achieve the same positions across all three races throughout the finals ahead of the reverse grid spectacle. F4H Venom also occupied the fourth-place position, too. Overall, it was a quieter race with few position changes, which meant adjudication would’ve been interesting. It was a good race, however for Sauber ZooM, who didn’t have a great result in the second race after being hit off the track accidently by Williams Seven. The Brazilian driver charged into 5th in the FWD Touring Car, managing to surpass Veloce Virus to finish below the American F4H driver. All in all, the marshal team adjudicated less than 50 incidents for this race, but Williams RR did receive a 5-second penalty, knocking him straight down to the bottom of the overall race results to 12th. 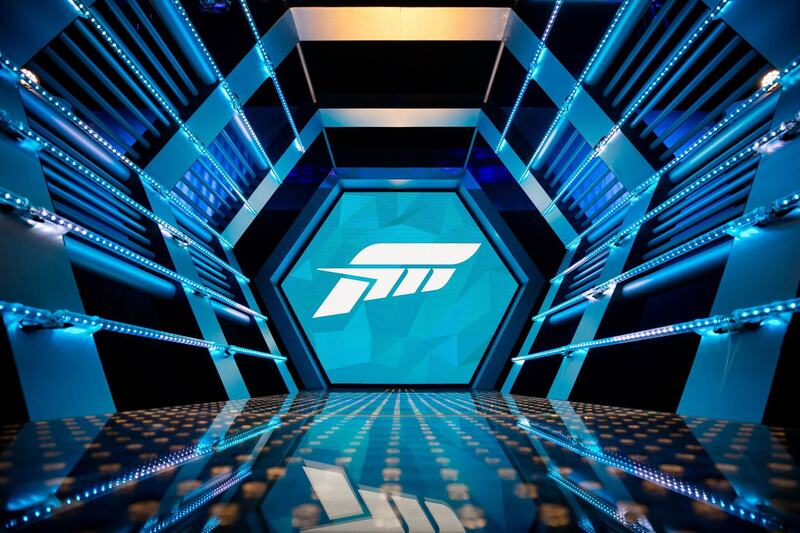 Up next, the last race of the Forza Racing World Championship finals, and the conclusion to an epic 2018 season of the ForzaRC. This was one not to be missed! The 2016 Ford Shelby GT350R is a brilliant American muscle car in every right, and in the hands of some of the best drivers on Forza Motorsport 7, it delivered tense, unmissable and surprising action. The track these cars would be put on? Indianapolis. It’s a famous circuit, especially for IndyCar no doubt, but to continue with the theme of matching the country of origin for each car raced with a track circuit, the 2018 ForzaRC season would be wrapping up on this beloved American circuit. Since this race would be in reverse grid, it meant Laige and b0x started at the very back with Mitch, Venom and ZooM. Veloce’s drivers would be in the middle with Lightning up at front. However, it would be all about who was at the back of the grid as the number of positions they climbed would ultimately dictate the competition – and there was a chance Mitch could potentially finish second overall in the finals should he race effectively and make it towards the top of the grid. It began with Lightning and Rossi leading at the forefront with Virus approaching third place as he battled with RoadRunner. The German driver’s teammate ForceOne was a position behind in fifth. 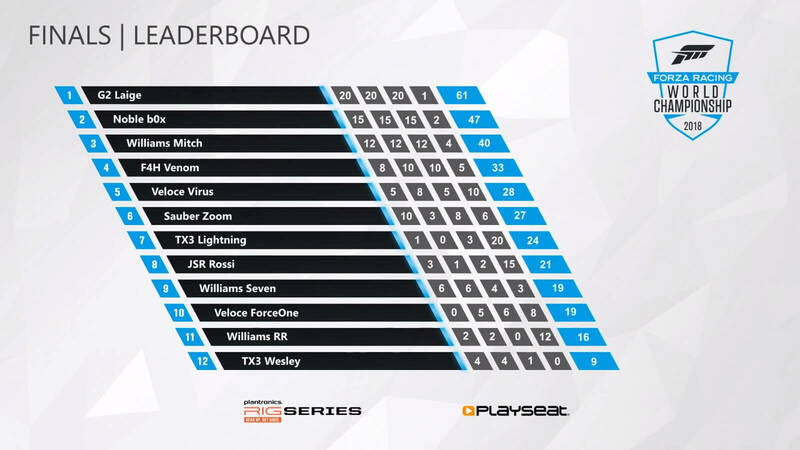 Meanwhile, the battle of the podium in the last ForzaRC race of 2018 was on as Mitch, Venom and Laige fought amongst each other. At this stage, Laige had already overcome b0x, whilst ZooM was battling with Virus in 6th during the second lap. Mitch was leading the main pack in 8th, but many cars were following behind. Laige also had contact with b0x, almost turning him around at the end of the second lap. Should a penalty have been issued, it could’ve potentially changed everything. F4H Venom climbed into seventh as b0x and Laige continued to battle it out between 10th and 11th places, respectively, with TX3 Wesley all the way at the back in 12th and Williams Seven in 9th. Meanwhile, as the fourth lap approached, Lightning continued to lead the way in 1st with Rossi following behind in 2nd, RoadRunner in 3rd and ForceOne in 4th. Reverse grid is great because it really celebrates these types of drivers, those who you’d typically see either mid-pack or towards the back of the grid. At the Series 2 Playoffs in Mexico City last month, Rossi led the way in the final reverse grid race and even managed to win it – bagging a special Porsche 70th Anniversary Xbox One X console in the process! Heading into lap 6, Laige and b0x were neck and neck leading down the main straight on Indianapolis as Virus and ZooM battled with each other for 5th place – but that changed on the seventh lap, when Veloce drivers ForceOne and Virus battled side-by-side for 4th as the American driver suffered a small amount of contact with Virus. Lap 8 saw ZooM enter the battle with ForceOne, but it wouldn’t last long as Venom overtook the Brazilian driver with Mitch chasing all of them. It was literally stacked as the drivers were backed up together – but it did most certainly lead to some tremendous viewing. To no surprise, the 2017 ForzaRC Le Mans Champion Lightning crossed the line in first position with Rossi on his tail. The last lap didn’t see any real position changes, but the victory for the American TX3 driver would thrust him from last to mid-pack on the overall leaderboard for the Forza Racing World Championship finals, which certainly makes quite the difference in terms of prize money. The further a driver managed to climb up the results leaderboard, the bigger the slice of the prize pool they’d be able to take back home with them. Overall, the racing on Indianapolis was brilliant and blimey superb – a fitting conclusion to what has been a tremendous and thrilling 2018 ForzaRC season from start to finish! And with no penalties awarded to drivers for this one, it would mean those final positions from the race would exclusively dictate the overall championship result. Meet Your 2018 Forza Racing World Champion: G2 Laige! 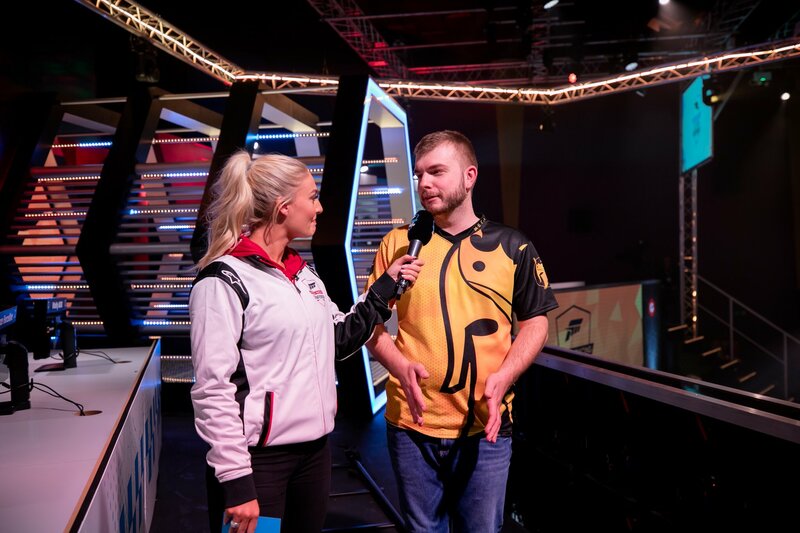 There was undoubtedly a tense atmosphere inside the Gfinity Arena as we awaited the final results of the Forza Racing World Championship, but little we were surprised in the finish up. 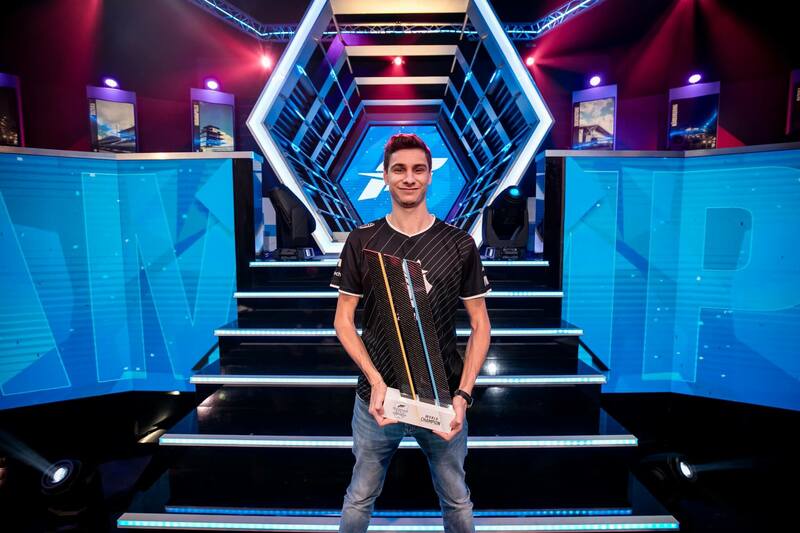 G2 Laige was named as the 2018 Forza Racing World Champion following his impressive performance over the course of the entire weekend. Meanwhile, Noble b0x and Williams Mitch finished in second and third place respectively. The Frenchman would be leaving London with $20,000 in his pocket. 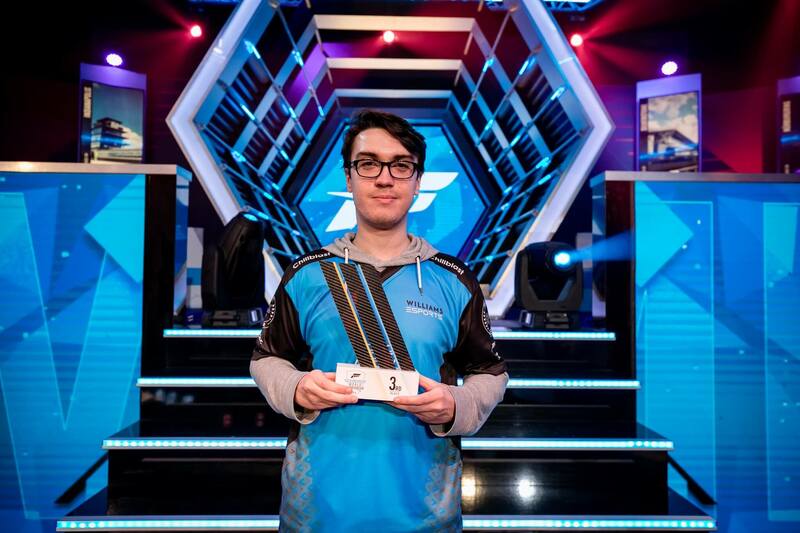 Combined with his victory at the Series 2 Playoffs in Mexico City and his runner-up position in Seattle at the Series 1 Playoffs – not to mention his win at the Pre-Season Invitational, it has undeniably been a successful year of Forza for G2 Laige. Meanwhile, Noble b0x has continued to showcase his overall talents and ability in the ForzaRC. 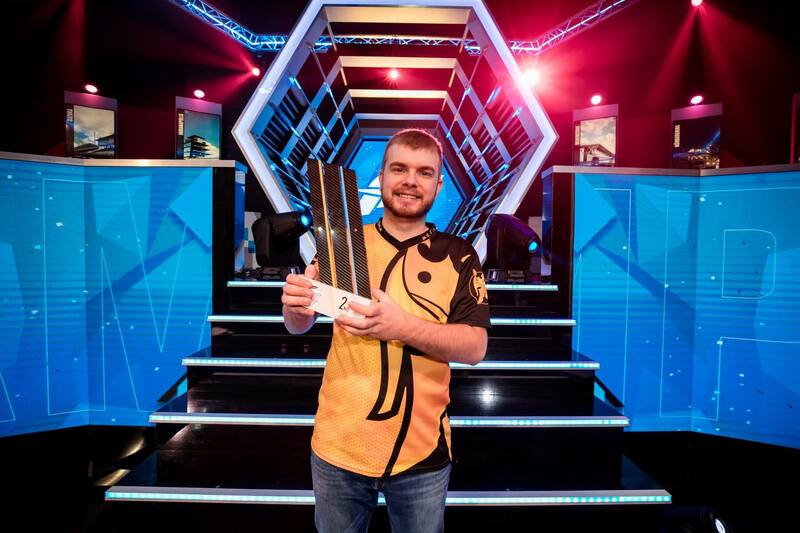 The battles between him and Laige have been incredible to watch throughout the year, and his second-place victory at the ForzaRC Word Finals nabbed him an impressive $15,000. The Noble Esports driver came into the 2018 season with a refreshed perspective on the Forza franchise and esports, and combined with an active workout schedule, it has allowed him to simply flourish and continue to refine his overall talents on the track as the season unfolded. Kudos to b0x on his incredible run throughout 2018, I’m very excited to see how 2019 shapes up for the German ForzaRC driver. Finally, we have Williams Mitch, the British ForzaRC forerunner who was a signed by an official Formula 1 team earlier this year. His performance in London netted him a cool $12,500, which is nothing to snub at. Mitch is the one who almost “came out of nowhere” if you will. He rose through the ranks in this year’s ForzaRC season and has turned out to be one of the unstoppable forces on the Forza franchise. Mitch has finished in third place across the Series 1 Playoffs, the Series 2 Playoffs, and now the Forza Racing World Championship finals. Will that change in 2019? You can bet Mitch will be aiming to overtake Laige and b0x next year – and since everyone will be practising to up their game, it should lead to some spectacular viewing and immense races to say the least. Looking at the rest of the leaderboard, F4H Venom finished in 4th place and earned himself a very respectable $10,500, whilst Veloce Virus in 5th would return home with $8,000. Sauber ZooM followed in 6th and bagged a decent $7,000, whilst TX3 Lightning’s impressive performance in the reverse grid race meant he’d be returning home with a cool $6,000 in 7th. 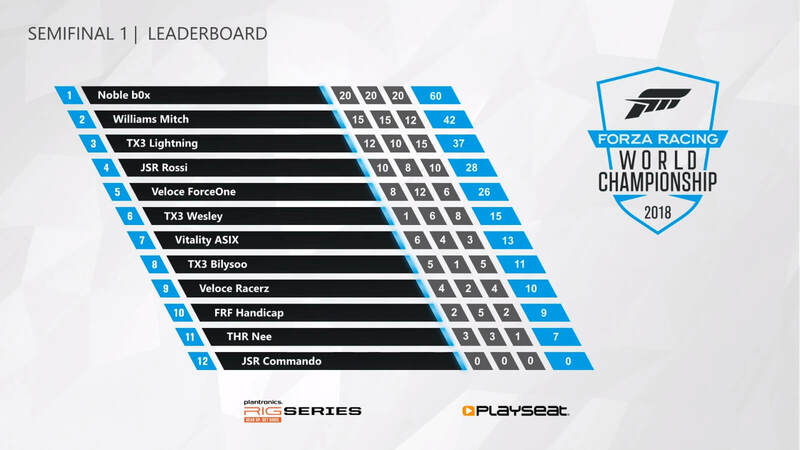 JSR Rossi, everyone’s favourite Scottish ForzaRC driver earned $5,000 from his finish in 8th, whilst Williams Seven in 9th would leave London with $4,000. Veloce ForceOne earned $3,000 for finishing in 10th, followed by Williams RR in 11th with $2,000 and TX3 Wesley in last place with $1,500. The remaining drivers who didn’t make it out of the semi-finals on Saturday would still be returning home with $500, which is a respectable reward for making it to the Forza Racing World Championship event in London. At least nobody would be leaving with nothing. There was a lot of excitement among the crowd as Laige, b0x and Mitch were brought out onto the podium and handed their trophies. 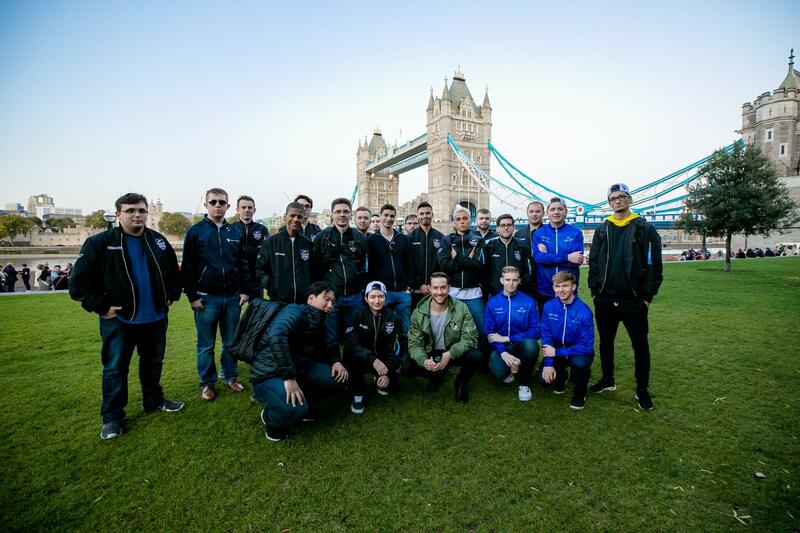 After all, this was yet another of those Forza spectacles that highlight the community and franchise at its very best – and for the first time, it was open to public attendance, with many well-known community members making it to London for this incredible event. All in all, the drivers put on an incredible show with some of the most tense, brilliant races we’ve ever witnessed in the Forza Racing Championship, and they should all be incredibly proud of their performance. Whilst I disagree with some decisions made by the adjudication team, I do think everyone at Microsoft and Gfinity pulled off what can only be described as a brilliant weekend of racing on Forza Motorsport 7. Combined with the immensely talented team of casters, analysts and hosts, the production value and quality of the broadcast was simply top notch. Alie Tacq and John Hindhaugh are a match made in heaven when it comes to casting the ForzaRC, whilst Forza Community Manager Brian Ekberg and YMTV’s Aaron Martin Pilkington both did an excellent job of diving deeper into the action and giving the viewers a greater insight into all the smaller details and manoeuvres from each of the races. 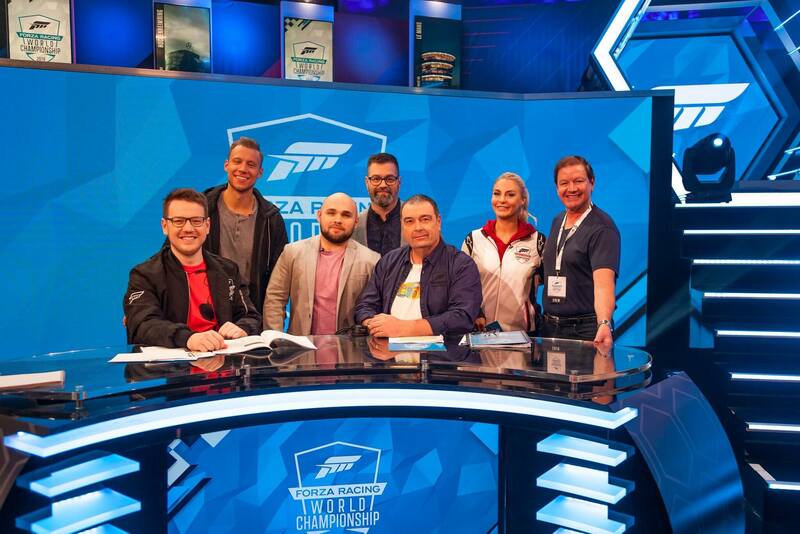 The Forza Racing World Championship finals were hosted by Lottie Van-Praag and Andy Dudynsky, both of whom did an excellent job of introducing each of the races on both days, discussing all the action, and of course, interviewing the drivers as the weekend unfolded. Once again, the talent, directors, producers and everyone else who works hard to bring each ForzaRC event to life simply outdid themselves this past weekend, so kudos to them. For now, we’ll have to revel in the success of Laige, b0x and Mitch in this year’s ForzaRC as we await details on the 2019 season. If it delivers anything close to the action and spectacle that we’ve experienced over the past couple of months, then I’m sure it’ll be another unmissable year of esports on Forza Motorsport 7. Only time will tell of course, but I’m incredibly excited to see what happens. Considering the vast amount of improvements the ForzaRC makes with each passing year, I’m sure Microsoft will deliver yet another step-up in its premier racing esports series over the course of its 2019 season. But after an exhilarating weekend of racing, it was time for the ForzaRC London wrap party with all the drivers, talent and staff members. A late one for sure, but also one to remember and a fantastic way to truly tie the knot on what has ultimately been a fantastic season of the Forza Racing Championship. With that in-mind, we’ll see you again in 2019 for even more on-track action and drama in Forza Motorsport 7.